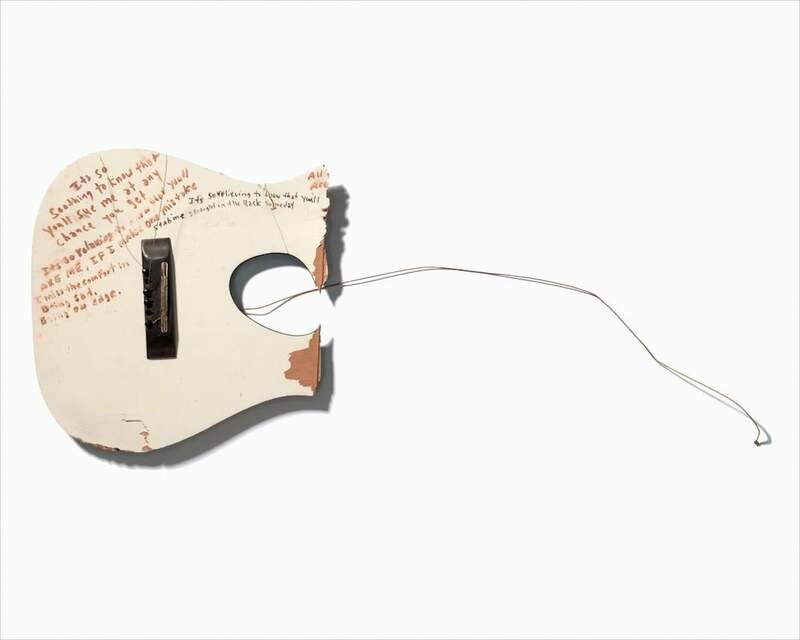 Kurt Cobain belongings photographed by Geoff Moore. The easiest way to get to know Kurt Cobain is to listen to his music. Another way is to look through his stuff. That one’s a little trickier. 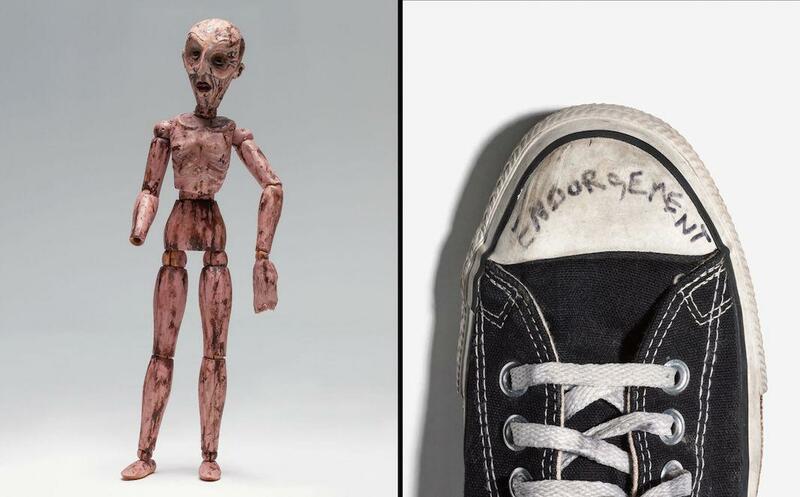 But Geoff Moore had that rare opportunity in 2008, when Cobain’s estate tapped him to spend a day photographing the late Nirvana frontman’s personal possessions for Charles R. Cross’ book, Cobain Unseen. Now, they’re on display in Moore’s first solo art exhibition, “Endorsement—the unseen Cobain photos” at KM Fine Arts Los Angeles through March 26. “We all know Kurt as the rockstar, but what I found was he was an artist in all areas. 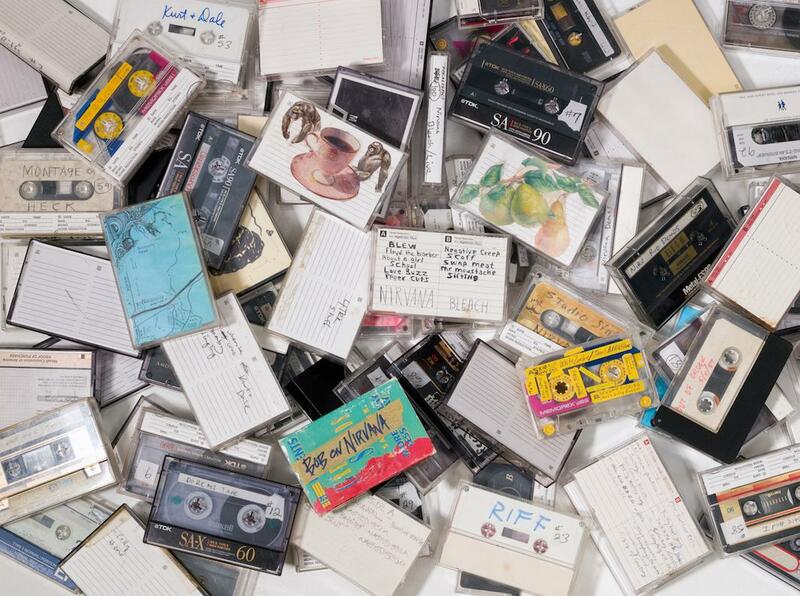 Though in one shot this was just a pile of tapes; these were tapes that moved the world. 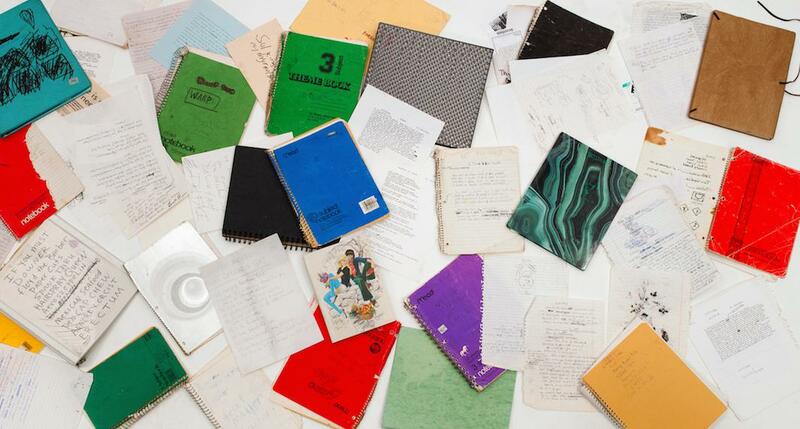 And in these journals and old shoes and antique monkeys and heart shaped boxes were so many fascinating insights into Cobain. I really wanted to honor that,” Moore said via email. At first glance, the humidity-controlled room in L.A. where Cobain’s belongings were locked seemed to Moore like an average storage unit. There were two long shelves of storage cases, some boxes, a row of guitar cases, and a bunch of paintings stacked against each other. “In a way it was quite sad and heavy to see the ‘vault’ in this form. 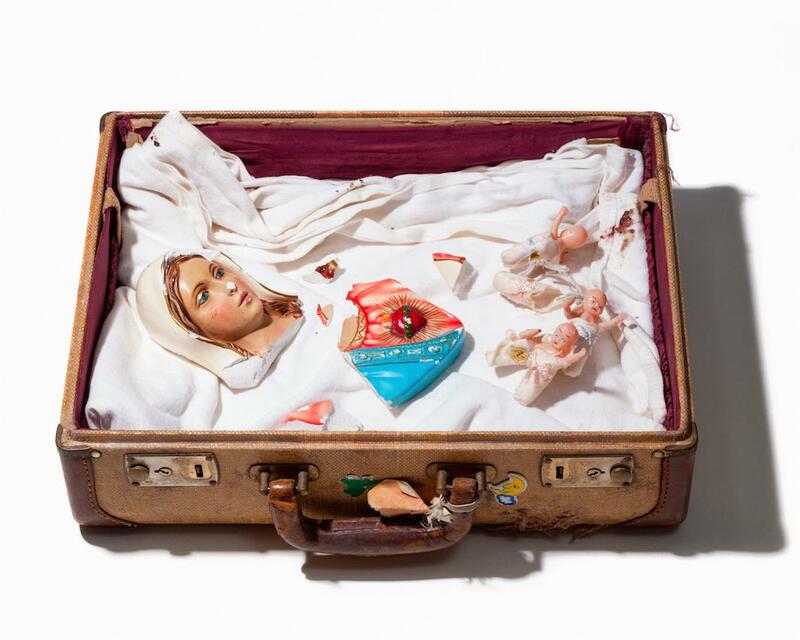 But once we began opening the cases and boxes, we were immediately overwhelmed that in these boxes were the sounds, words, art, instruments, and treasures of a man that touched a generation. And that in there were the last recordings, words, and still not seen paintings (we did not shoot the paintings) that will reach the world in so many ways forever,” Moore said. 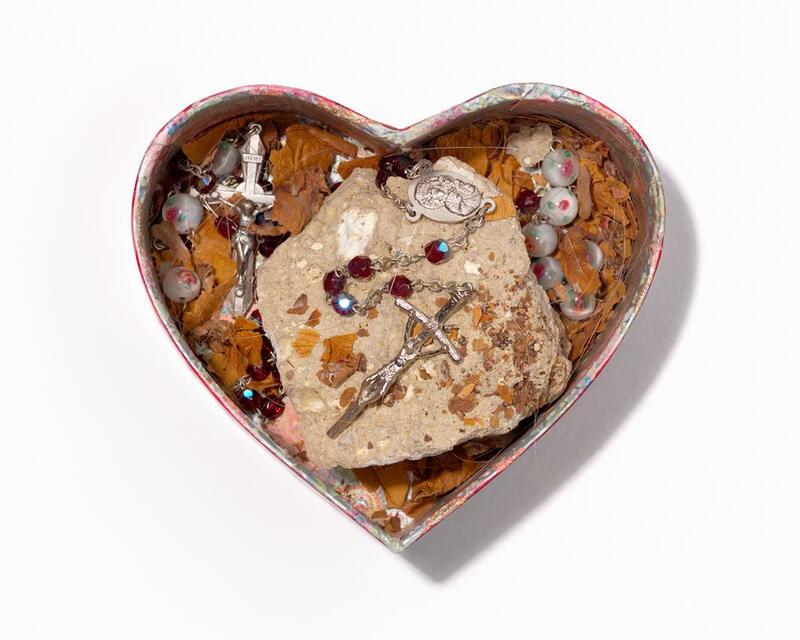 Heart Shaped Box #1, 2007. A couple days later, the 40 or so belongings selected for the book were transported to a photo studio, where, under constant security supervision, Moore photographed them. “As someone that normally shoots portraits, fashion, and living rock stars, I wanted to approach this in a way we could bring these ‘still lifes’ to life. I kept everything against white, creating scenes with soft light to give these items an iconic and timeless feel without any distractions,” he said. Surrounded by the treasures of a long-gone icon, Moore felt the weight of his responsibility to share them with the world. It also felt a bit eerie, like being in a “poetic time capsule.” That feeling was underscored during one serendipitous episode while shooting. 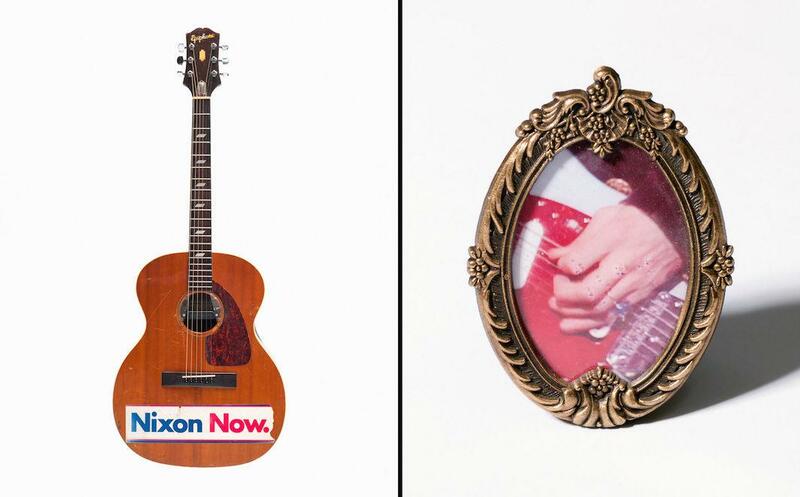 Left: Nixon Now, 2007. Right: The Promise, 2007. Left: friends…in my head #1, 2007. Right: Endorsement - Cobain’s Converse #1, 2007.